What's the best topic to talk about when you're with a bunch of Thais? What's a sure fire way of destroying the atmosphere in a Thai office? What do Thais eat when they eat out themselves? Is there such thing as 'Real Thai Food' outside of Thailand? 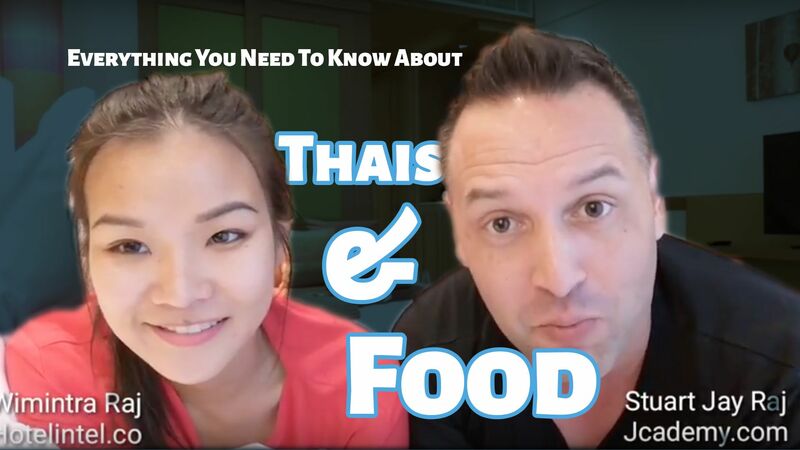 What kinds of food will many Thais refuse to eat? Before you go any further, if you liked this content please reach over quickly and click 'subscribe' and 'like' - that will help me keep being able to develop great content for you. You can access all of my training modules at https://www.jcademy.com - create an account and get access to swathes of content. Linguist, author, cross-cultural business strategist and facilitator - competent to native in over 15 languages inc. Chinese langs, Thai, Bahasa, Spanish, Sanskrit and Danish. More posts by Stuart Jay Raj.